A detailed look at the design and construction of the K1 locomotive. This was the world's first locomotive built to the H.W. Garratt's patent of 1907 by Beyer, Peacock & Co at their Gorton Foundry, Manchester, in 1909. Packed with drawings and technical information, this is a fascinating look at what was a revolution in steam locomotive design. 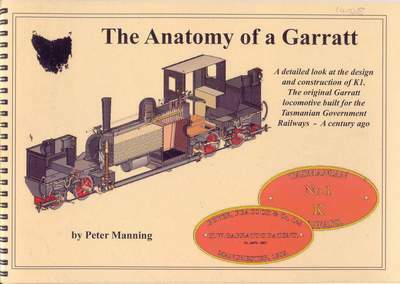 With black/white technical drawings and coloured drawings of the many parts that formed the locomotive. Landscape format.